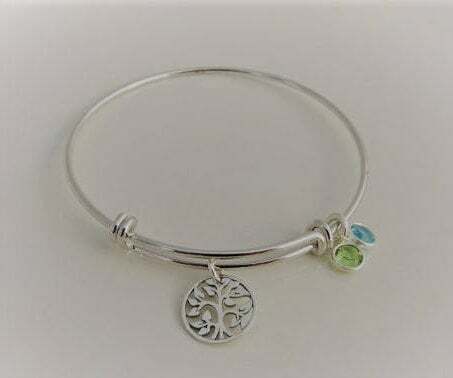 Choose from a sterling silver bangle or rhodium plated bangle. 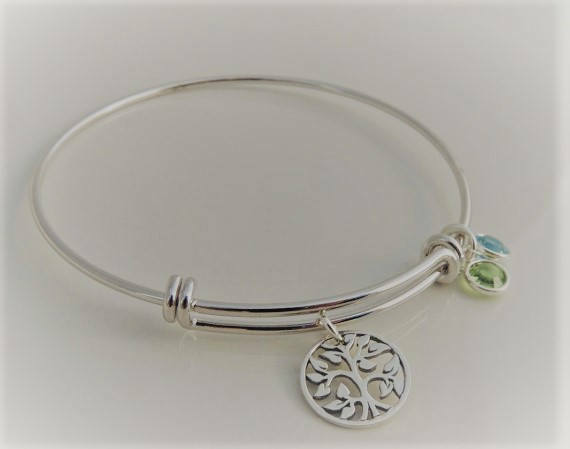 Bangle is adjustable for most sized wrists. * Your choice of Swarovski birthstone crystals. 1. Choose your bangle from the 1st drop down menu. 2. Choose your crystals from the 2nd drop down menu. 2. 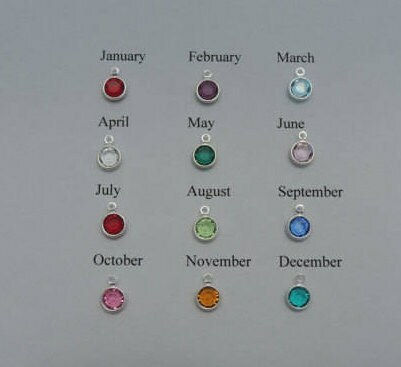 Please leave me a comment in the notes to seller section at checkout with your birthstone months for your crystals. Thank you. Seller was so easy to work with and item arrived quickly and as expected. Great! Beautiful product! 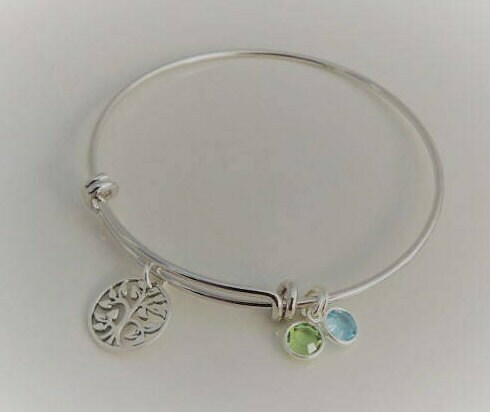 My best friend loved receiving this as a gift with the birthstones of her three sons attached. Fast shipping, thank you!